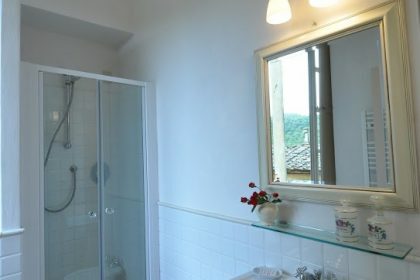 Lake Trasimeno is 1hr by car, for wind-surfing, sailing, pedaloes, canoeing and kitesurfing, sunbathing on sandy beaches and swimming, horse riding, vespa hire, and a 50km cycle path around the lake with spectacular views. 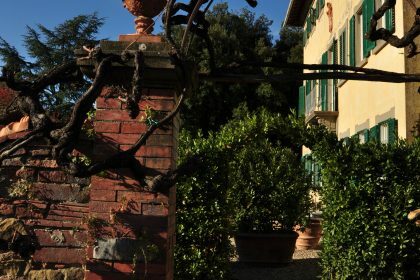 The working vineyard at the villa is part of the medieval fiefdom of “Galatrona” and its tower, built atop roman ruins, still exists. 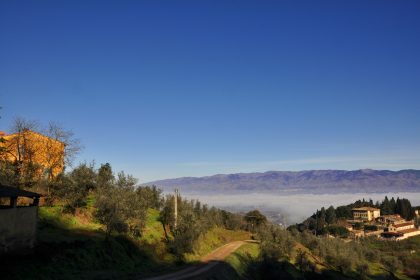 The estate is famous for its wine and prestigious Extra Virgin Olive Oil. 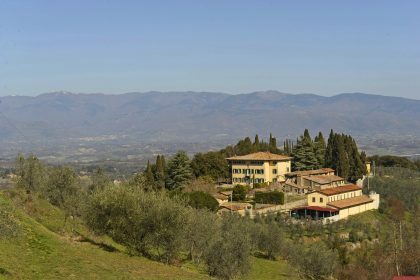 Take a tour around the vineyard and olive estate (the office is right next to the villa and you will see the workers come and go while you are there). 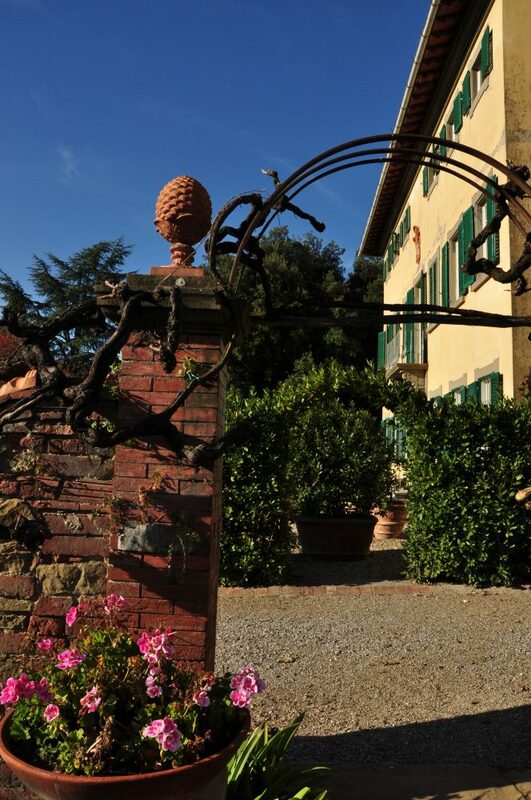 Italy’s oldest antiques fair takes place on the first weekend of every month in Arezzo, 30 km from the estate. 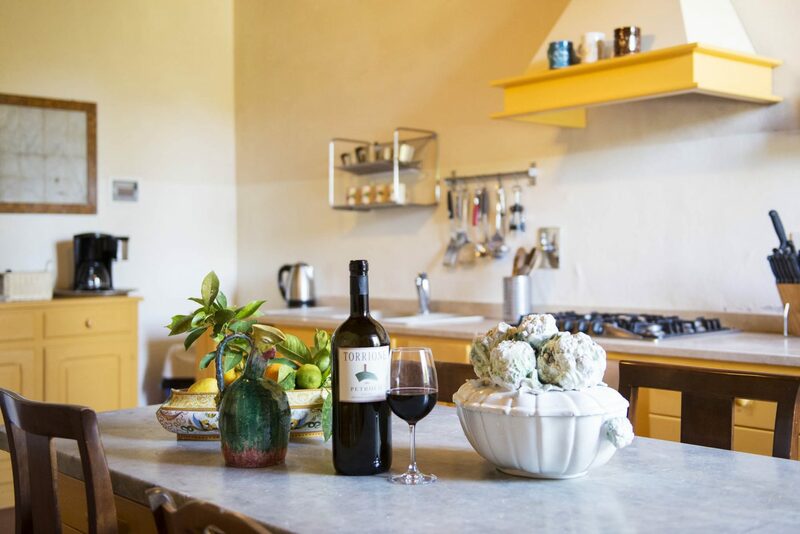 Local wine and olives are available by the bucketload, guests can sample produce from the estate itself or the intrepid can walk up to the neighbouring estate to try the competition. 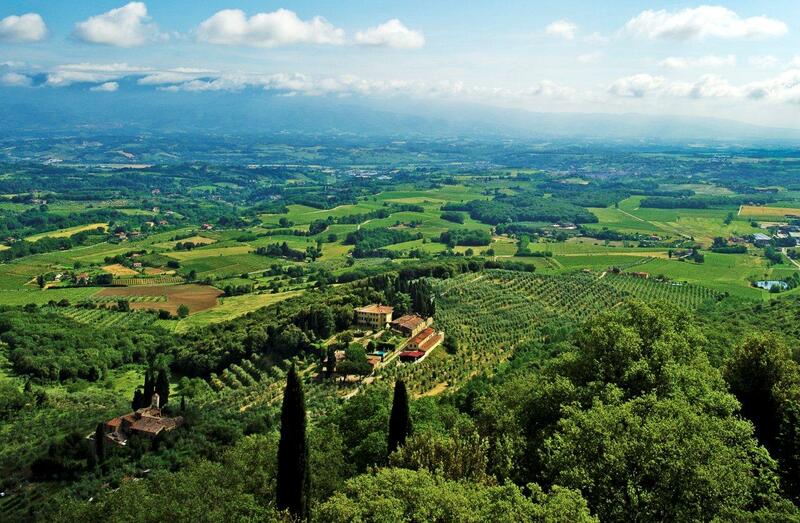 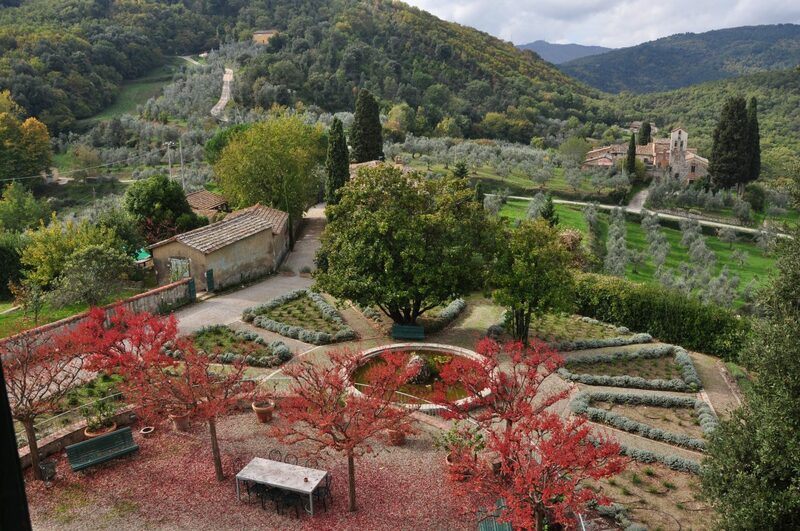 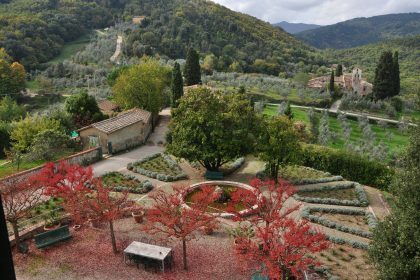 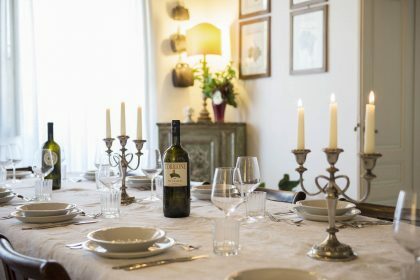 Tuscany is awash with culture, delicious food and wine, its accessibility makes it the perfect destination for families. Being in the heart of Tuscany there is so much to do in the way of sightseeing: Florence, Siena, Arezzo, San Gimignano, Chianti Classico, Montallcino, Assisi, Lucca, Pisa and others are all easily reachable for day trips. There is a great history and culture of food in the area so there are many vineyards and restaurants to immerse yourself into. 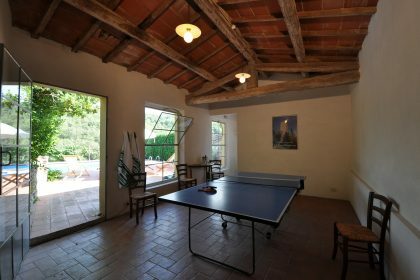 There is also horse riding and it is possible to rent bicycles locally. 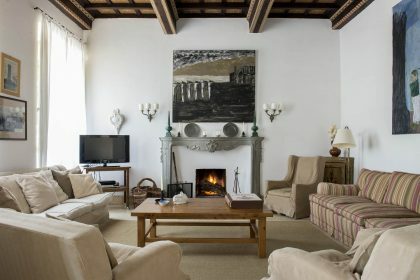 For those who love to shops you can reach the fashion outlets of Prada and Gucci (as well as many others) near the villa. There are many walks near the villa – one particularly lovely one behind the house. 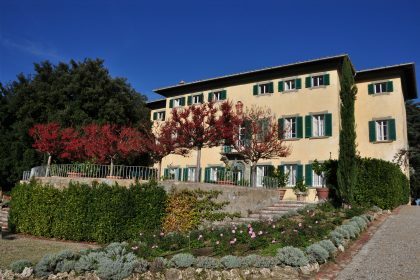 A lovely home, we spent a very happy time here with the wonderful Marco who looks after this amazing place in the heart of Tuscany. 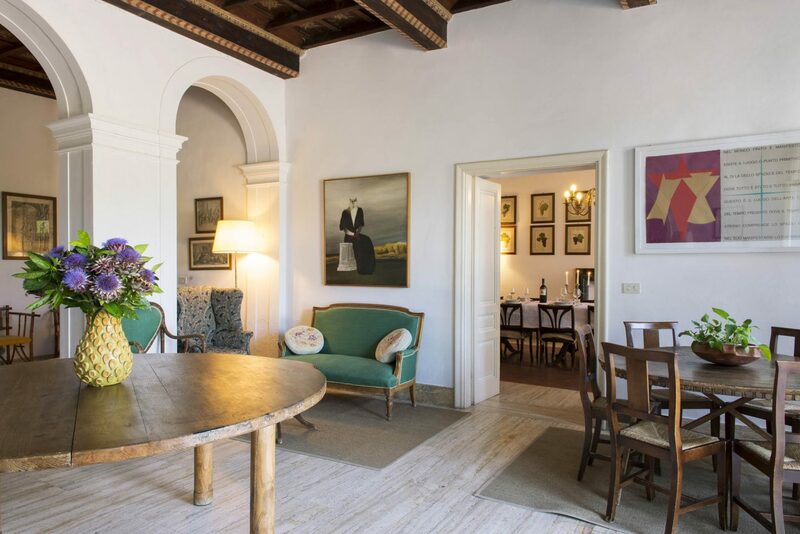 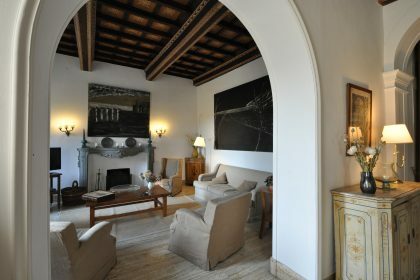 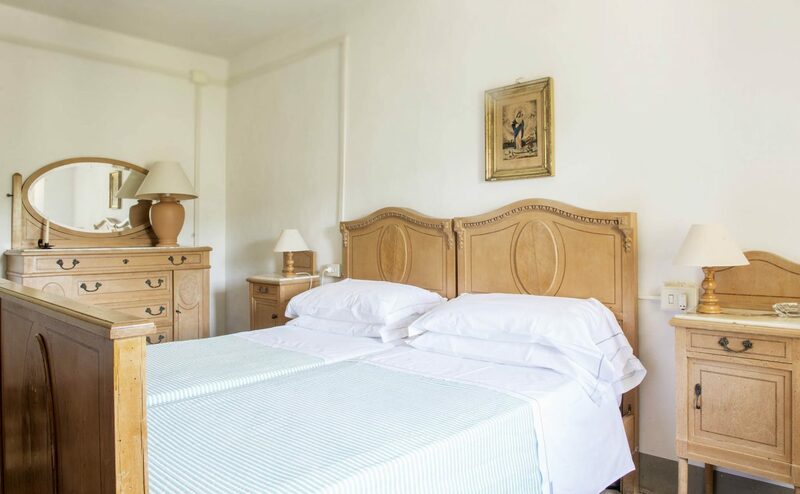 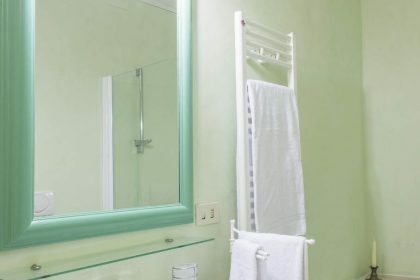 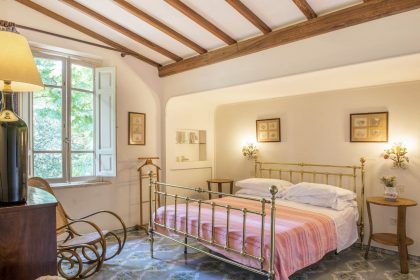 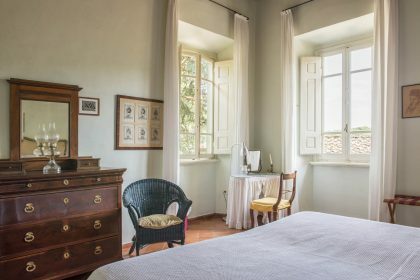 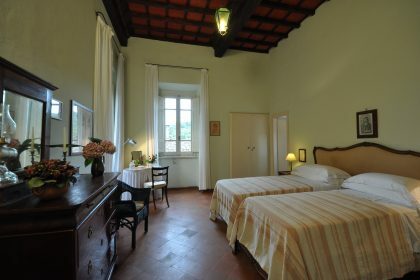 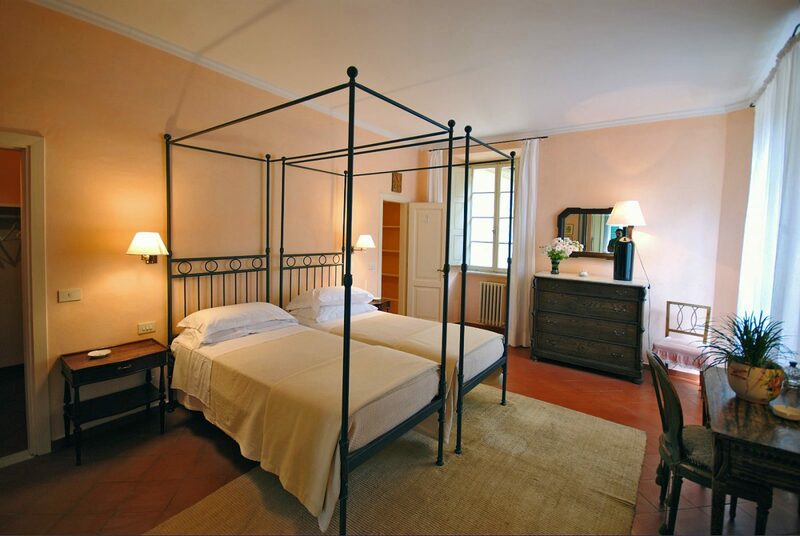 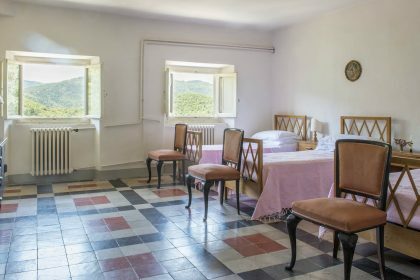 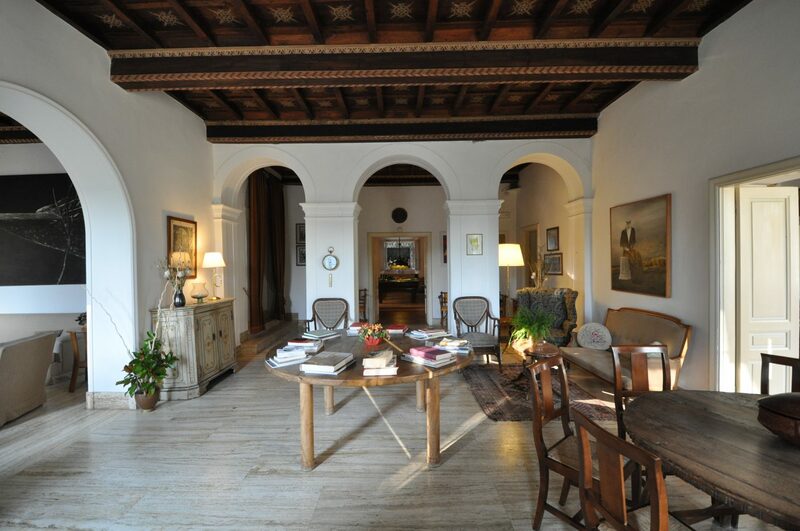 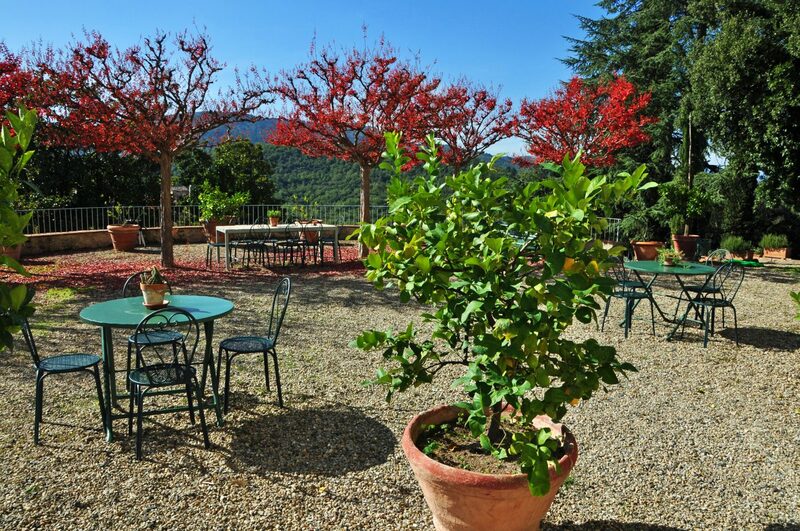 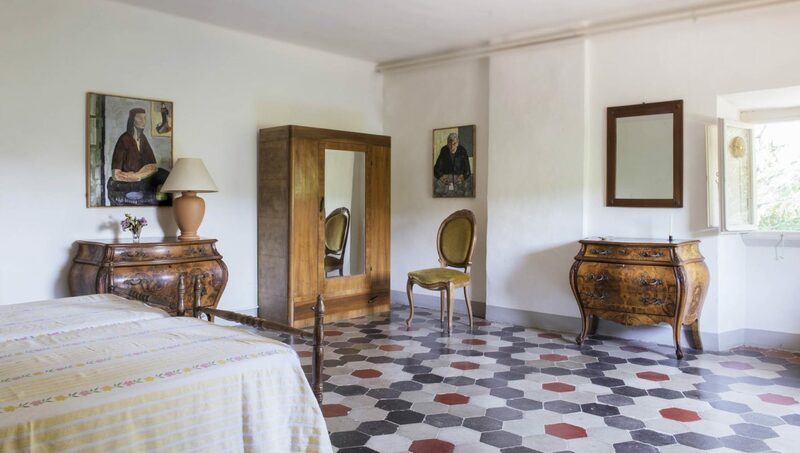 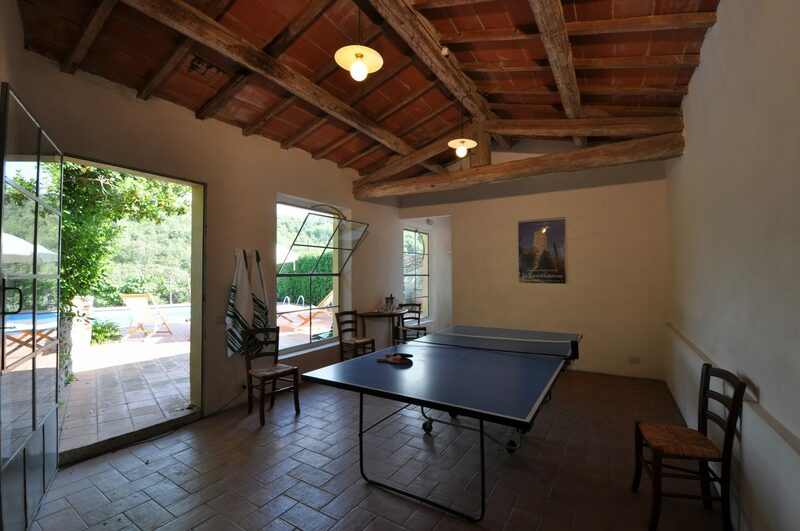 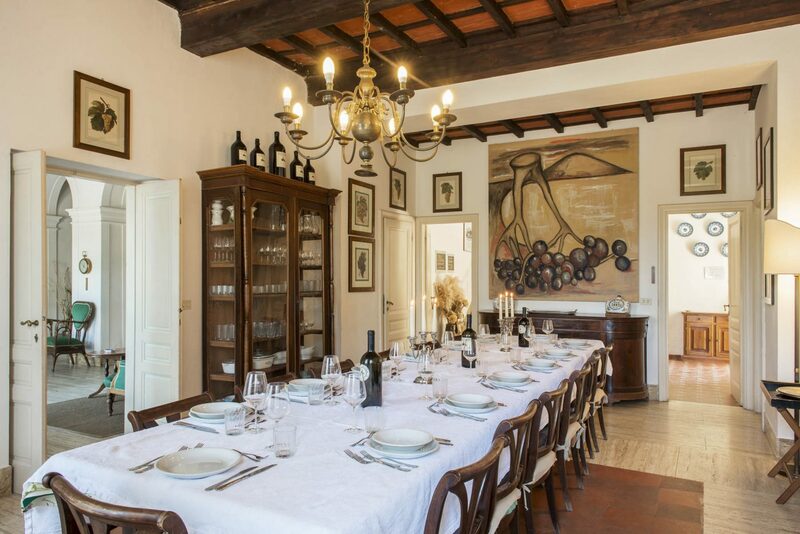 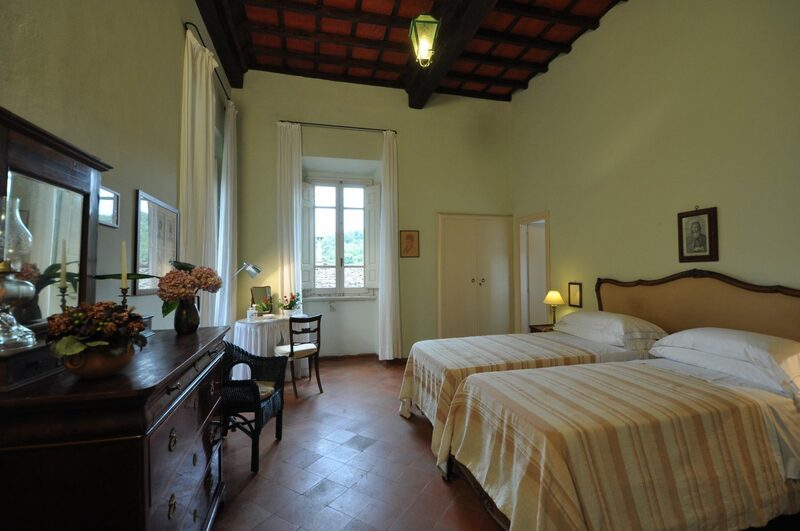 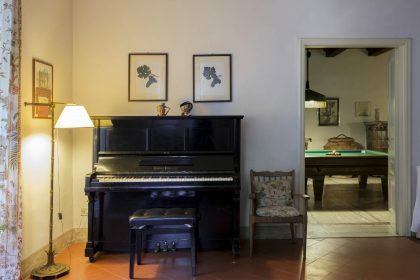 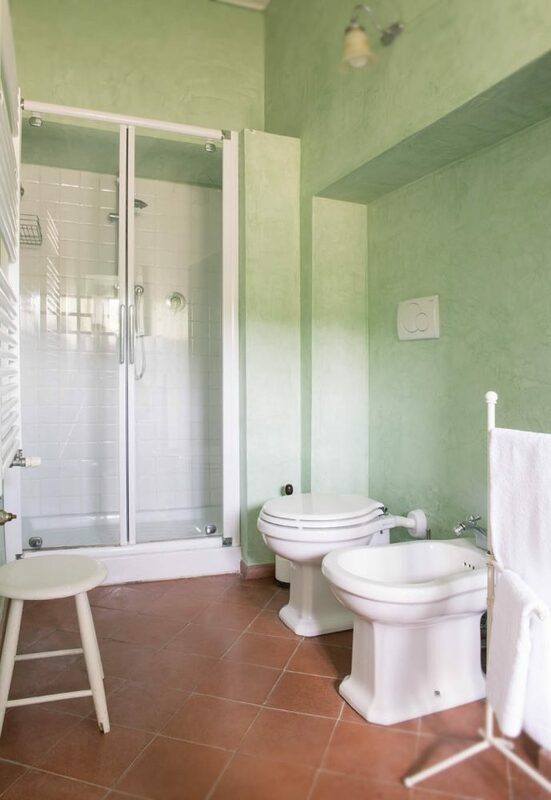 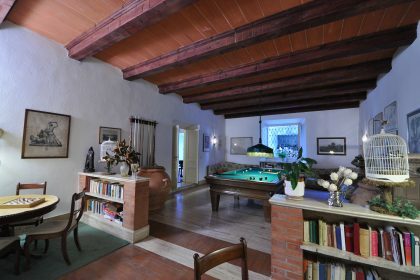 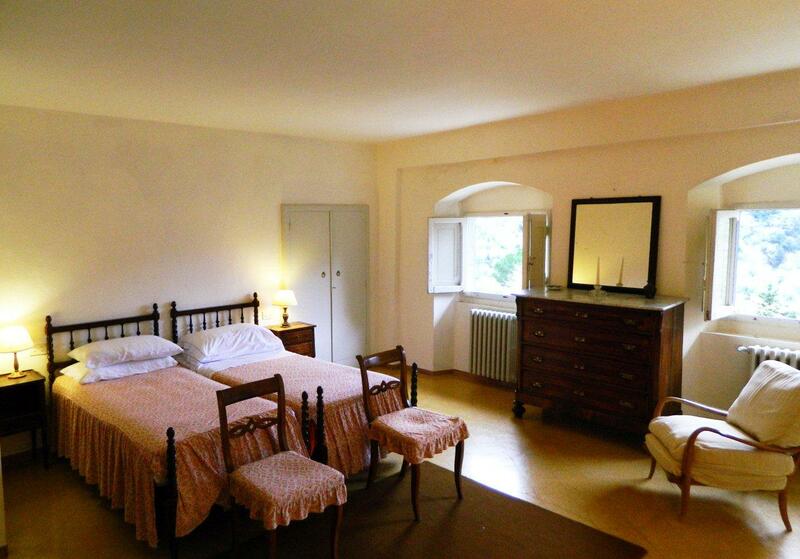 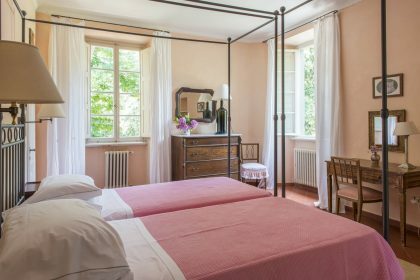 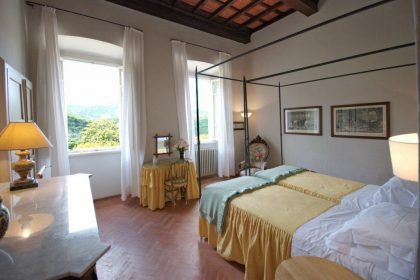 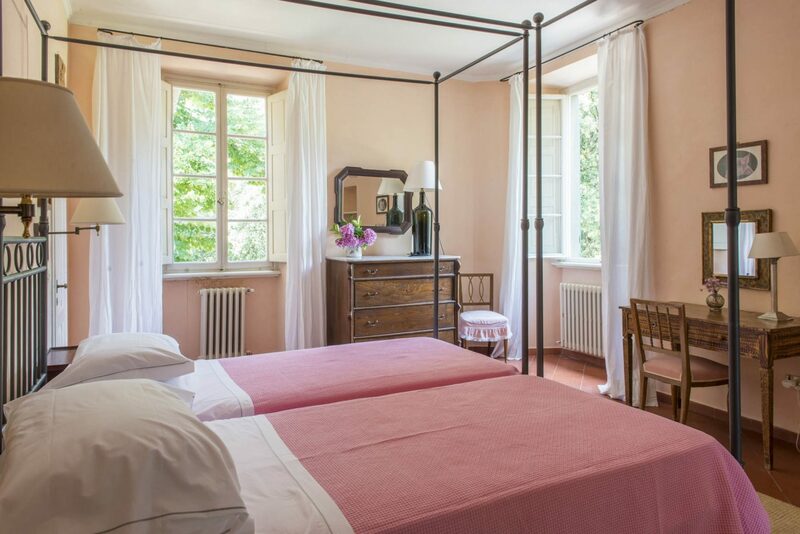 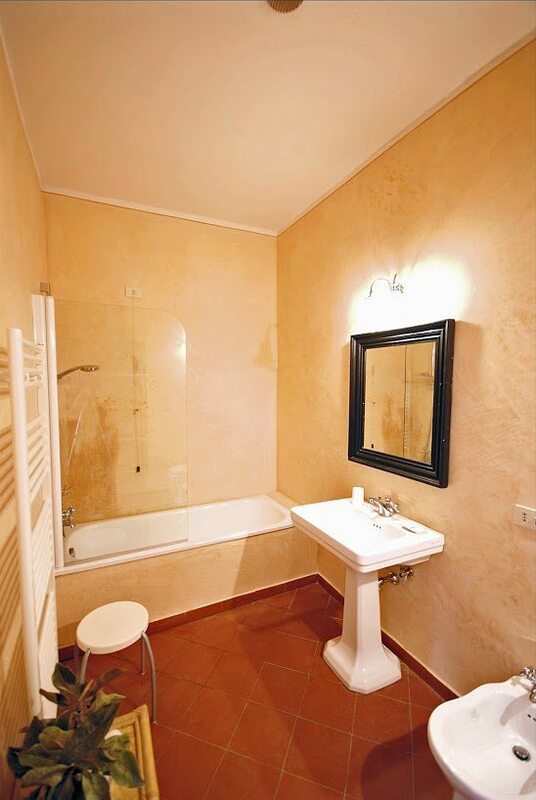 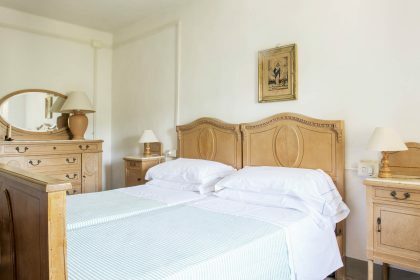 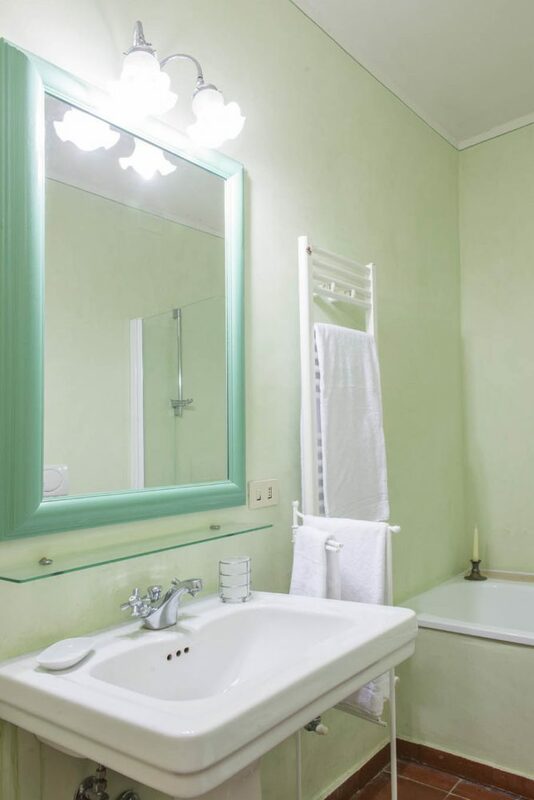 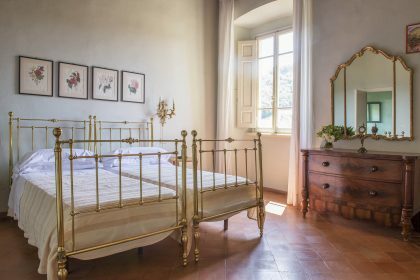 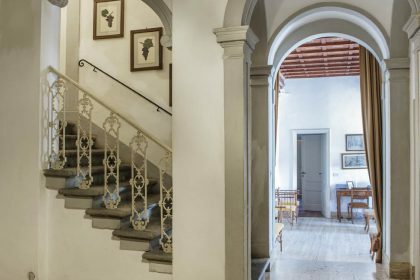 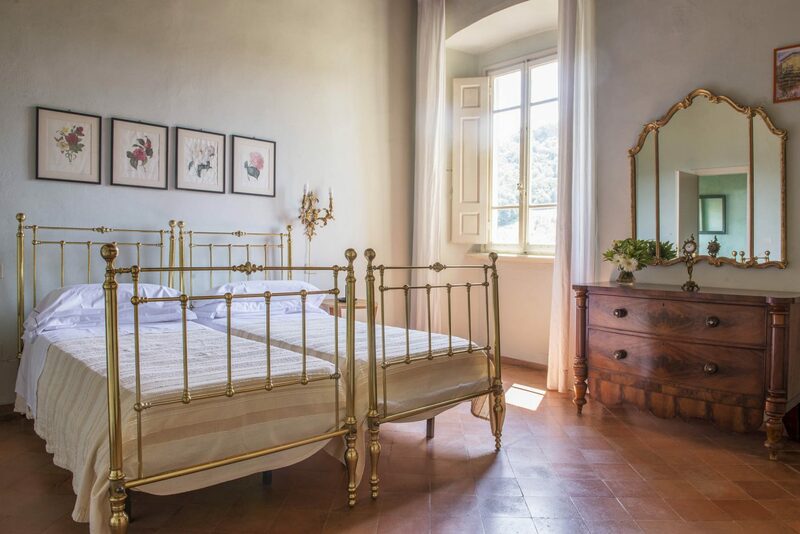 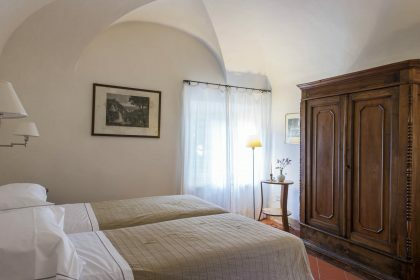 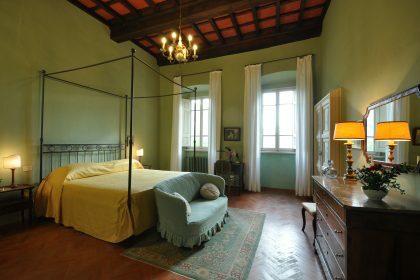 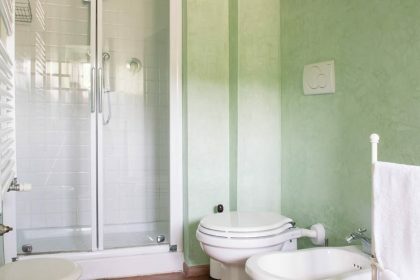 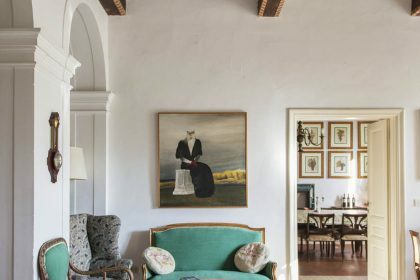 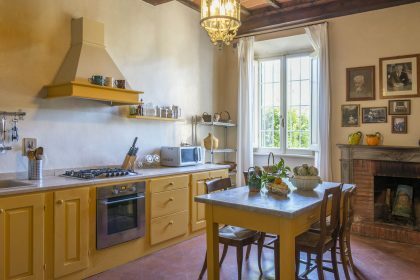 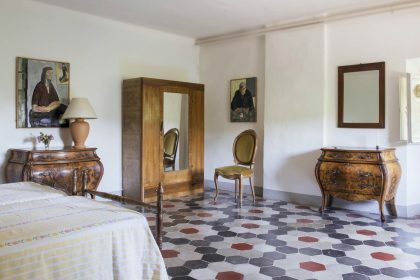 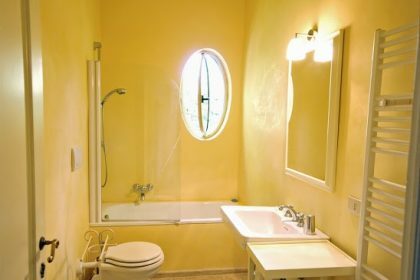 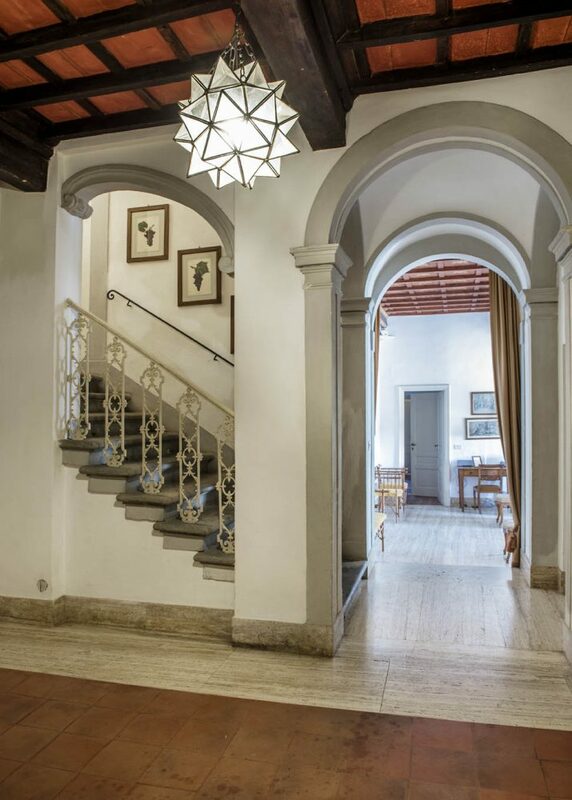 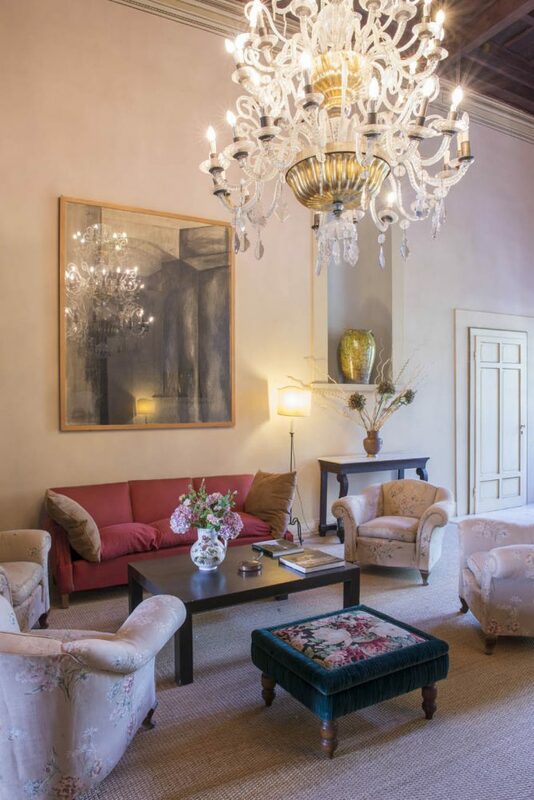 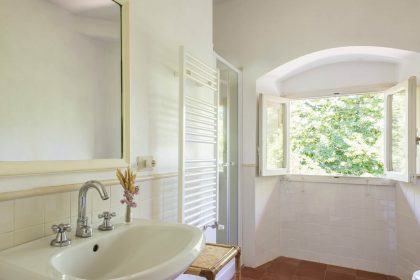 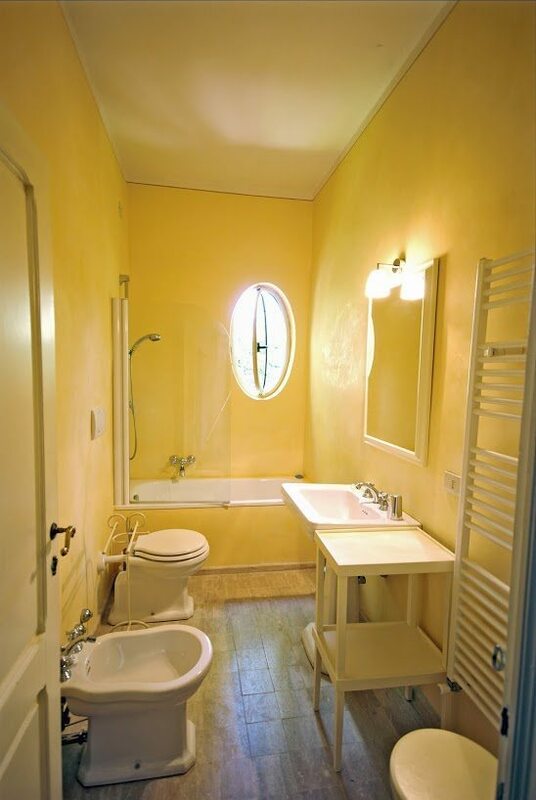 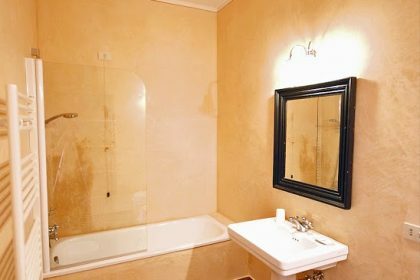 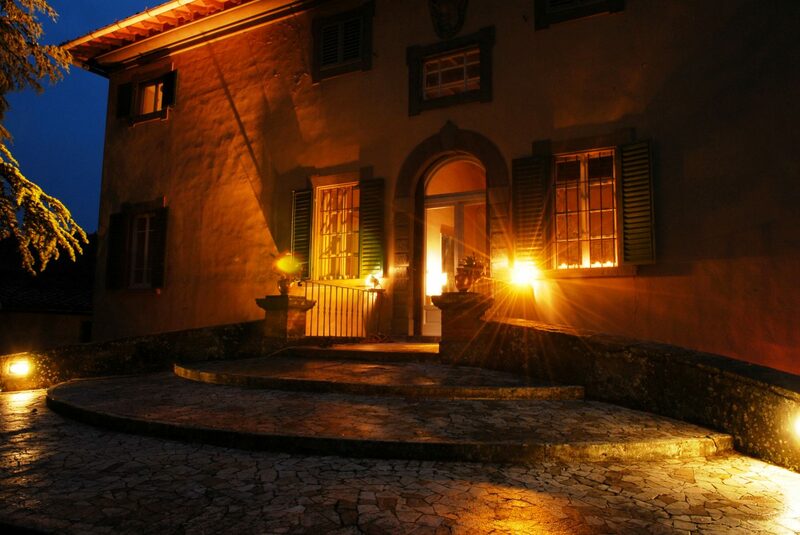 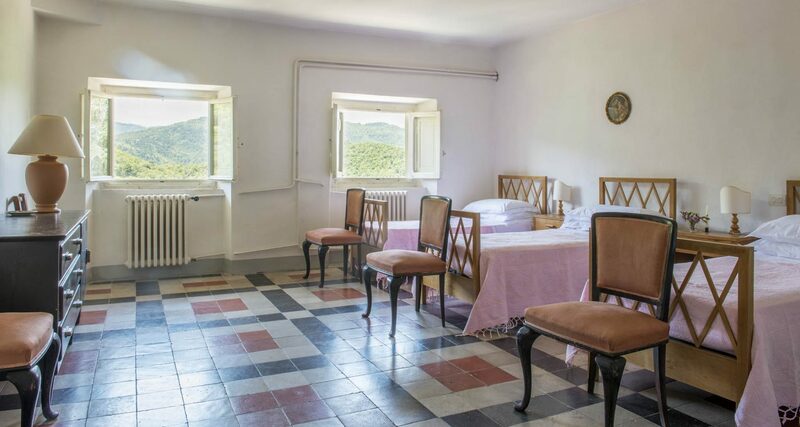 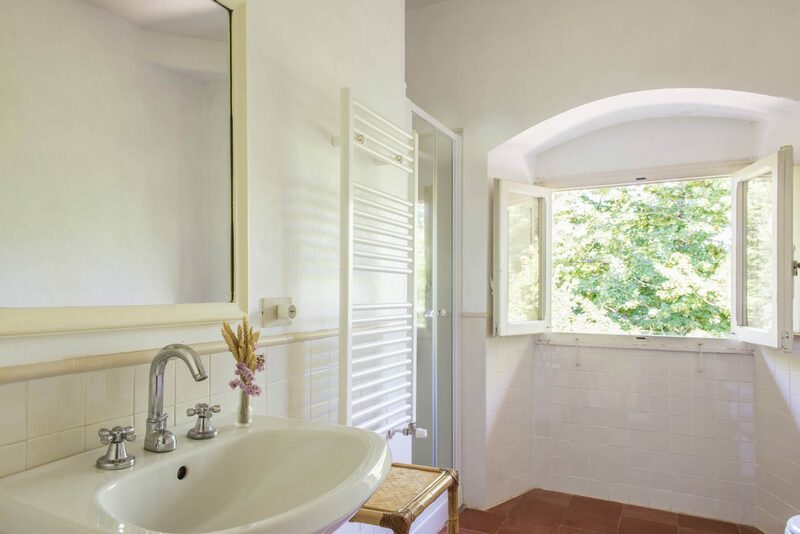 The house is instantly impressive, a grand Italian property with gloriously spacious rooms and steeped in history, parts of it date back to the Etruscan and Roman eras. 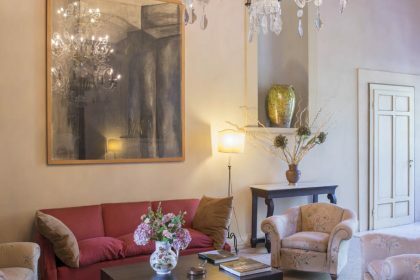 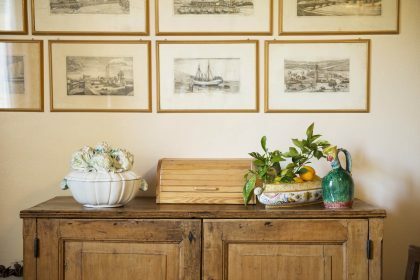 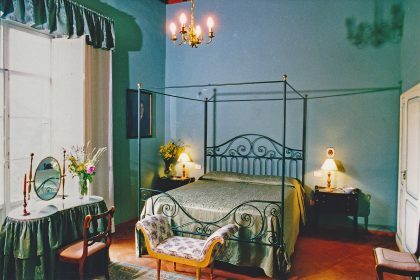 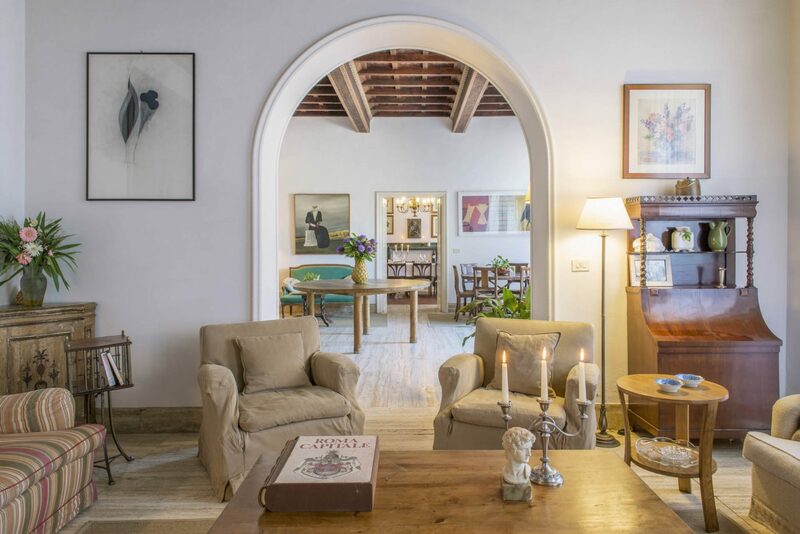 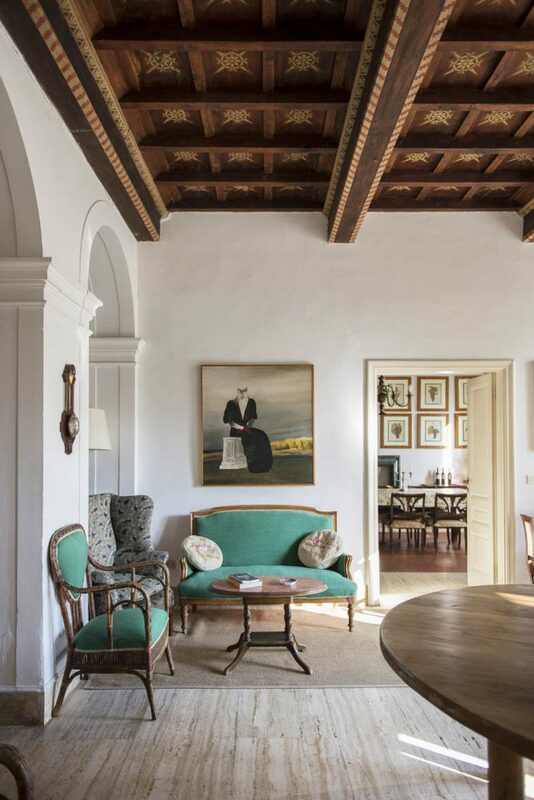 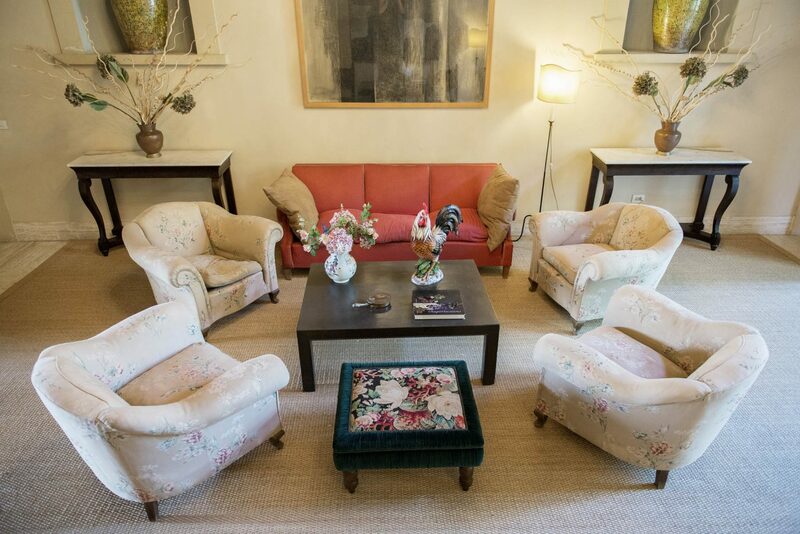 The owners are a wonderful Italian family who welcome large groups and positively encourage children (true to their Italian roots) The elegance is set off by the wonderful array of antique furniture and paintings. 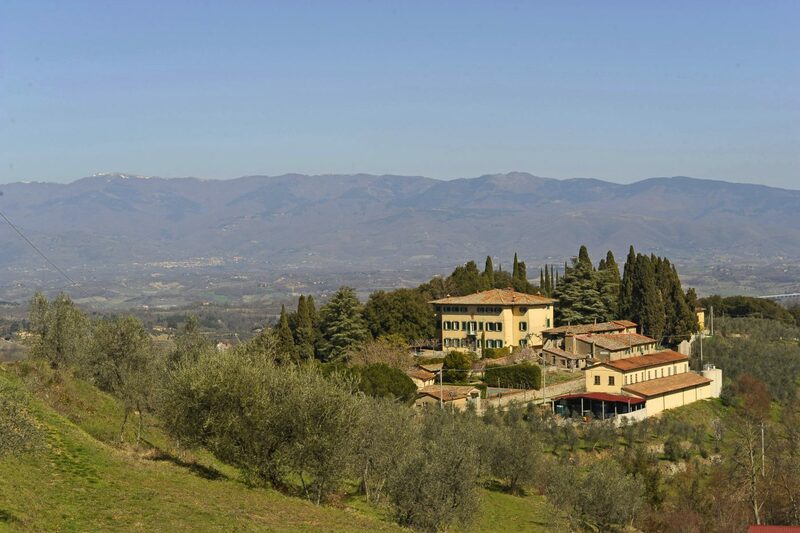 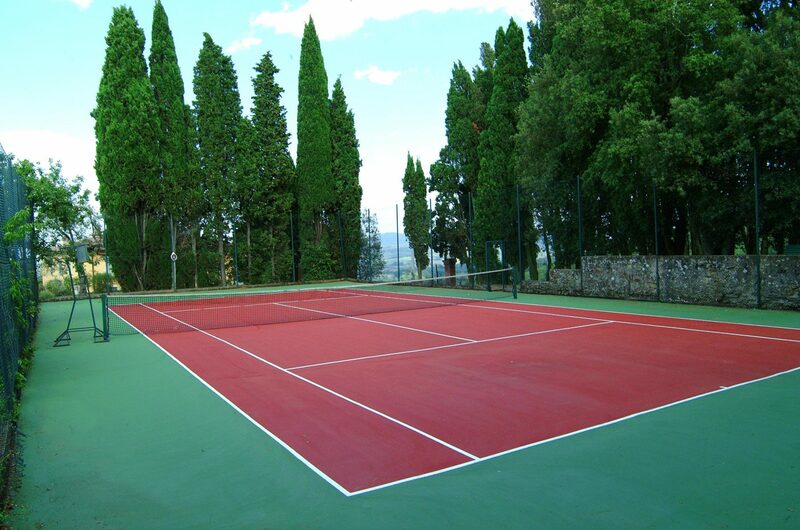 It is a working estate which covers over 650 acres – 76 acres of specialized vineyards, 47 acres of olive trees and the remainder natural plants and forest. 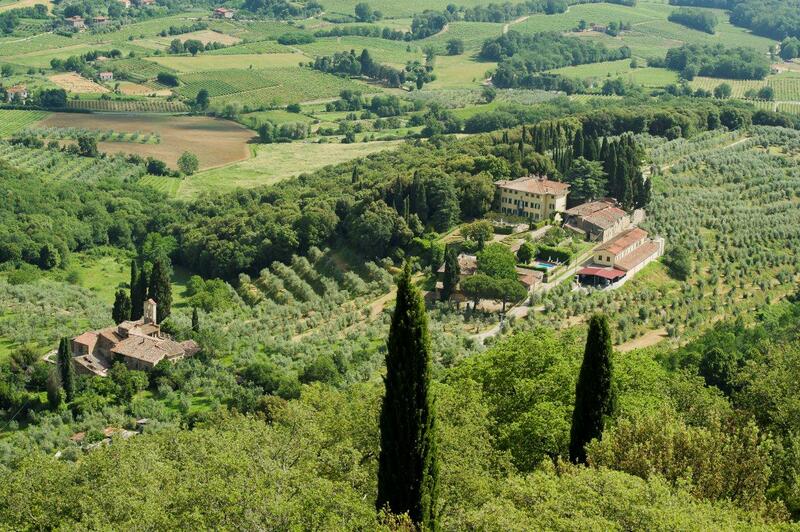 The vineyard is part of the medieval fiefdom of “Galatrona” and its tower, built atop roman ruins, still exists. 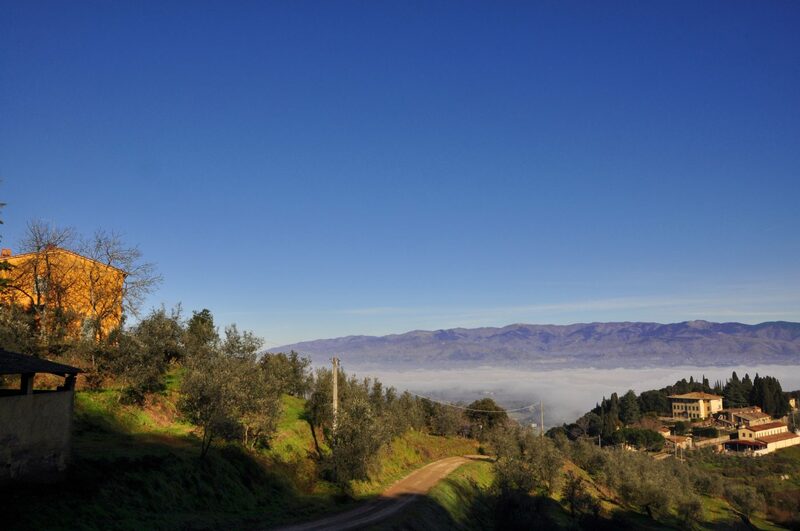 The estate is famous for its wine and prestigious Extra Virgin Olive Oil. 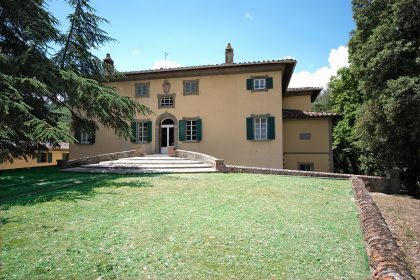 We were charmed by the fact that the estate has a working office very nearby – please note that the people who come to the office park their cars just outside the villa – but this is not for everyone. 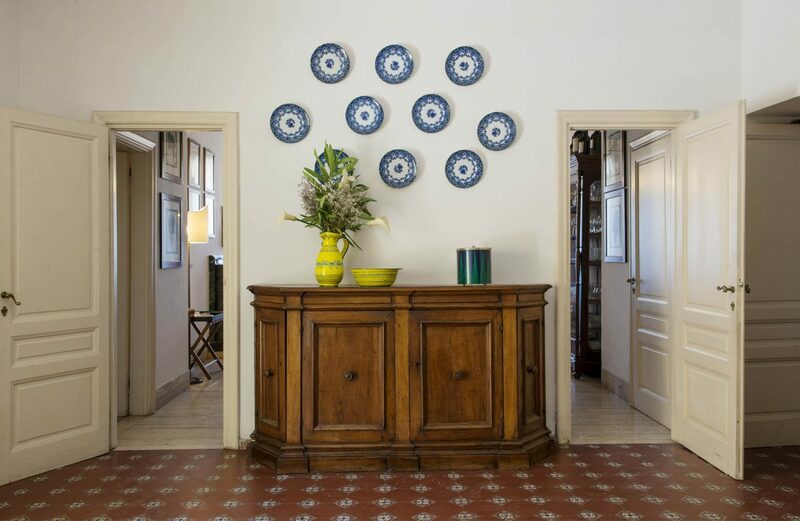 You can wander into the estate office and talk to them about the work they do on the farm there. 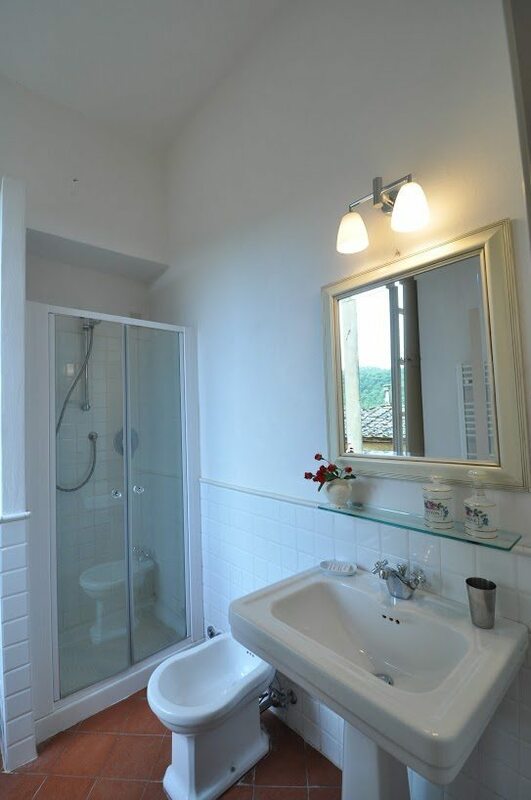 The property is part of a working estate. 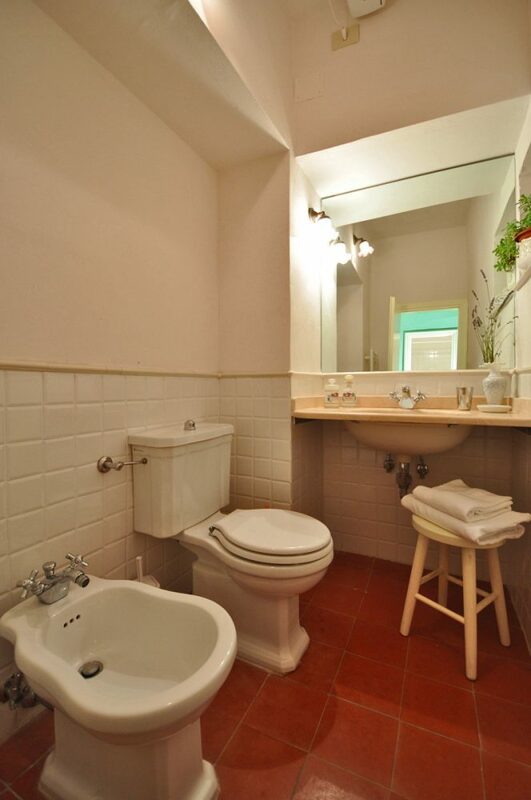 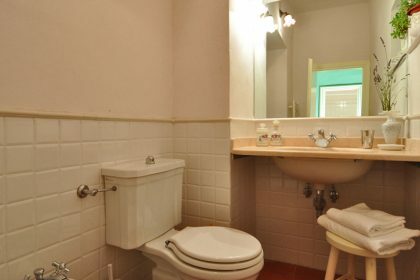 By special arrangement with the owners we can secure another 5 properties.